Can you confirm these amateur observations of Otocryptis wiegmanni? Types Holotype: ZMB 708 (for both wiemanni and bivittata, see DENZER et al. 1997, who state that both WAGLER and WIEGMANN described the same specimen). Comment Illustration in BARTS & WILMS 2003. Abundance: Common in Sri Lanka (BAHIR & SURASINGHE 2005). Type species: Otocryptis wiegmanni WAGLER 1830 is the type species of the genus Otocryptis WAGLER 1830. Etymology Named after A. Fr. August Wiegmann (1802-1841), zoologist in Berlin. Manthey U 2010. 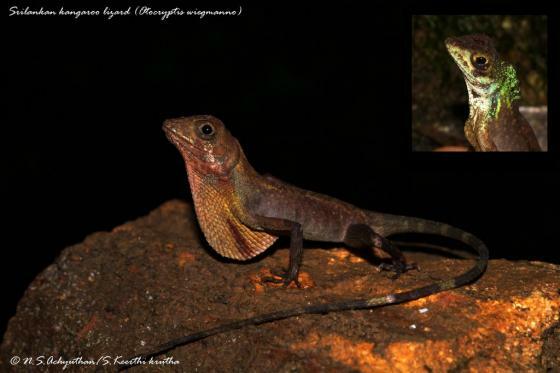 Agamid Lizards of Southern Asia. Draconinae 2 -Leiolepidinae. Terralog 7b, Edition Chimaira, Frankfurt, 168 pp. Somaweera, R. & Somaweera, N. 2009. 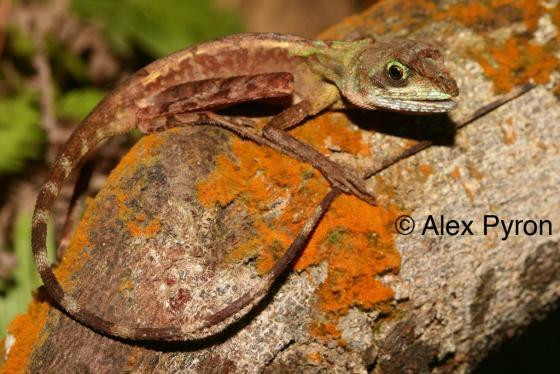 Lizards of Sri Lanka: a colour guide with field keys. Chimaira, Frankfurt, 304 pp. Wagler, Jean G. 1830. Natürliches System der Amphibien, mit vorangehender Classification der Säugetiere und Vögel. Ein Beitrag zur vergleichenden Zoologie. 1.0. Cotta, München, Stuttgart, and Tübingen, 354 pp.